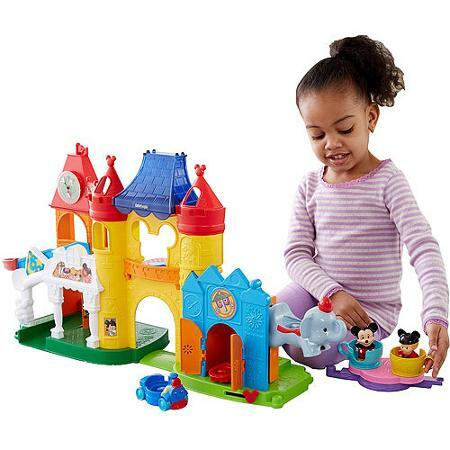 ROLLBACK - Fisher Price Little People Discover Disney Set ONLY $25.20 + FREE Pickup (WAS $50)! You are here: Home / Great Deals / ROLLBACK – Fisher Price Little People Discover Disney Set ONLY $25.20 + FREE Pickup (WAS $50)! ROLLBACK – Fisher Price Little People Discover Disney Set ONLY $25.20 + FREE Pickup (WAS $50)! Check out this awesome ROLLBACK deal! You can currently get this cute Fisher Price Little People Discover Disney Set for ONLY $25.20 + FREE Pickup (WAS $50)!